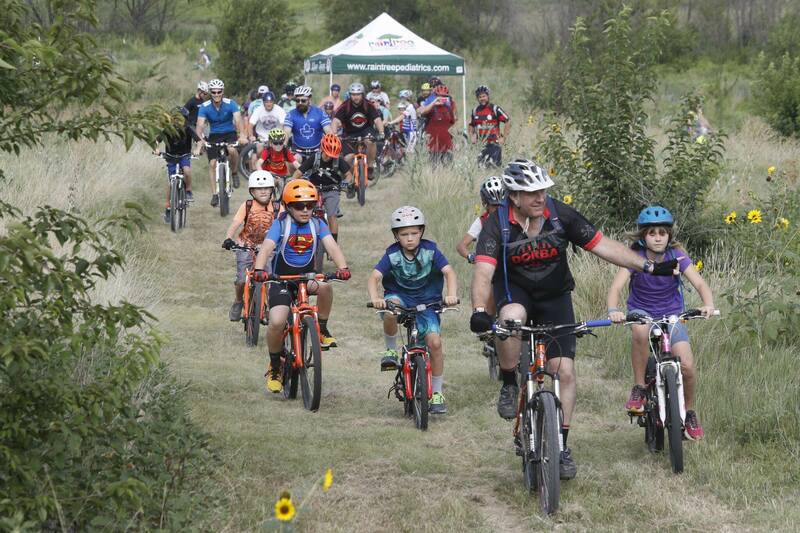 The Dallas Off-Road Bicycle Association seeks to be at the forefront of promoting the sport of mountain biking, land access, and advocacy for the North Texas area, and serve as a model of leadership for other cycling organizations. DORBA was founded in 1988, and began "Blazing Trails" in 1989. The first trails completed were Northshore and Knob Hills, both on USACE land around Grapevine Lake in Flower Mound. These two trails started as motocross, hiking and wildlife trails that were expanded for mountain bike use. They were soon followed by the L.B. Houston Nature Trail, built as a completely new trail on Dallas Park and Recreation land. Many more have followed, with DORBA gaining agreements to build and maintain trails on USACE, city, county, state park, nature preserve and private properties. The club currently has 1600-1800 members, and records 9,000-10,000 volunteer hours a year building and maintaining trails. The estimated value of those hours is almost $250,000 on an annual basis. It takes many volunteers and thousands of hours to maintain the trails, but without these people putting in an incredible amount of time behind the scenes, there would be no DORBA. Like many others, his cycling roots go back to BMX in his teens. 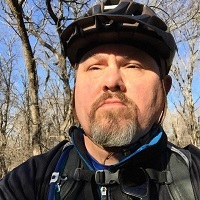 He returned to cycling via mountain biking in Arizona in the late 90s and has been riding mountain bikes on and off since, with some road/hybrid/cruiser thrown into the mix. Fervent believer in N+1. Vic started mountain biking in 1998 - his first trail was RCP. He found DORBA in 1999, joined in 2000 and has been a current member for most of the years since. He began racing DORBA XC in 2001, then assisting with trail work in 2003 off and on at various trails. He is also a past Trail Steward of Cross Timbers and Northshore. 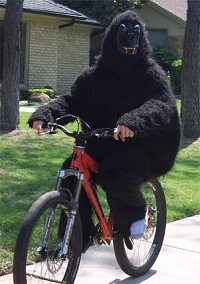 Eric has been riding mountain bikes on and off since the late 90s. He cut his trail-riding teeth on the Bryan Utilities Trail while a student at Texas A&M University and can still remember when Northshore was an out-and-back trail. These days he splits his cycling time between the trail and the road hoping he’ll get faster on at least one of them. Kristie has been riding for about 8 years now. She spent approximately 6 years riding a road bike before moving to off road cycling (she sold her road bike). She still considers herself a novice and has the ability to fall and get right back up with a smile. The best people she knows she has met on 2 wheels! Beginning in the early 90s to 2000s, I was raised in Dallas, spending my time either at Eisenbergs, or riding Friday night trials and urban in downtown, and weekends at Northshore. Summer vacation months were used in Gunnison, CO riding Hartman Rocks and the 401 Loop. After school, I moved to Oregon and traveled all over the Pacific Northwest mountain biking. I am currently residing full time in Dallas, going slow on my favorite trails. 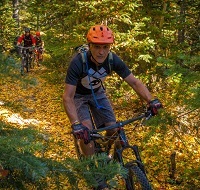 Richard has been riding and racing Mountain bikes since 1988. Originally from Bedford, England he moved to Dallas in 1995 and quickly became involved with DORBA, famously winning a race at Sister Grove Park in 1996. Through the years Richard has been the DORBA webmsater, secretary and membership director. Recently he has been participating and having too much fun racing Enduro! Brian grew up riding a road bike everywhere as a kid but never knew the joy of mountain biking until he was an adult. 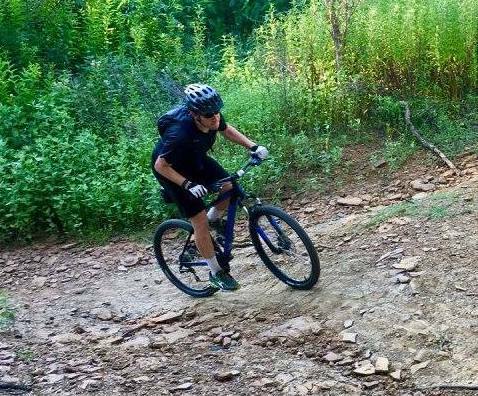 Through his parents, who have also been avid cyclists on and off throughout their lives, he learned of DORBA and was encouraged to buy his first mountain bike. He and his wife had their first adventure on RCP in January 2017 and he's grown obsessed with the sport ever since. The whole family recently took a summer vacation to Park City, UT and Lake Tahoe with their bikes in tow to expand their mountain biking experience. He was looking for a way to leverage his skills as an IT professional to give back to DORBA and volunteered to take on the Online Operations for DORBA at the end of 2017.